"daily multivitamin supplementation modestly but significantly reduced the risk of total cancer." The report included some caveats, such as the fact that all 14,641 participants were healthy male physicians. "little justification for the general and widespread use of dietary supplements." The new study, PHS II (Physicians' Health Study II) looked at overall death rates as well as cancer, and found that men on a daily multivitamin had fewer deaths, but too few to be statistically significant. So we have a large study in men showing that multivitamins seem to reduce overall cancer, and maybe even death, but an even larger study in women showing the opposite effect. A second study from last year, in 35,533 men, looked at vitamin E and selenium supplements. That study, also published in JAMA, found that risk of cancer INCREASED for men taking vitamin E, selenium, or both. The media reports aren't helping to clarify things. The NY Times proclaimed "Multivitamin use linked to lowered cancer risk, and the Wall St. Journal reported that "Multivitamin cuts cancer risk, large study finds." Bloomberg News went right for the business angle, announcing that "Pfizer multivitamin reduces cancer 8% in men, study finds." "Centrum Silver was part of the recently published landmark study evaluating the long-term benefits of multivitamins." No claims about reducing the risk of cancer - surprisingly, the independent media made far stronger statements than Pfizer. Not true of supplement manufacturer GNC, which was flashing a pop-up headline that "Taking a daily multivitamin could cut cancer risk", linking to a news article at the Boston Herald. So what do we make of this new study? Are multivitamins good for you after all? The new JAMA study appears to be very well done. It's a double-blind, placebo-controlled study in which half of the physicians received a daily multivitamin, Centrum Silver, and half received a placebo. The participants didn't know if the pill they were taking was a vitamin or a sugar pill. The authors report some minor conflicts of interest, but none of them work for or received major funding from Pfizer (PFE, the manufacturer of Centrum). So how to explain the seeming contradiction with two larger studies published only a year ago? To answer this question, we must look at the details of the study itself. This study looked at 21 different types of cancer risk. 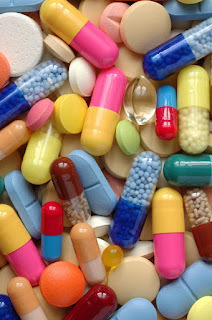 For most cancers - colon cancer, prostate cancer, lung cancer, pancreatic cancer, lymphoma, leukemia, melanoma, and others - multivitamins did not provide a benefit. But when all the numbers were added up, the effect was just large enough to be "significant", at a level of p=0.04. More on that in a moment. Here are the raw numbers: among the 7,317 men who took a daily multivitamin, there were 1,290 cases of cancer over the 11-year study. Among the 7,324 men who took a placebo pill, there were 1,379 cases. That's about 1.2% more - far less than the 8% reported by Bloomberg News. The statistical analysis showed that this difference had a p-value of 0.04, a result the authors considered significant. When the authors looked only at men with no history of cancer, the effect was smaller, and not statistically significant. One explanation of the new finding is that the effects were indeed due to chance. Let's look at that p-value of 0.04. In much of the scientific literature, any p-value below 0.05 is considered "significant," but this has been widely criticized, in part because it encourages binary "true, false" thinking that is not the way scientists actually think. Also, the "0.05 threshold actually represents evidence much weaker than the number "0.05" suggests. A back-of-the-envelope Bayesian calculation shows that if the cancer-preventing power of multivitamins was a 50:50 proposition before this study, then after this study there is still a 10-26% chance that the cancer prevention claim is wrong. If we thought that prior evidence made this effect less than 50:50, (say 25:75), then the study has roughly a 25-50% chance of being wrong. * Either way, I won't be stocking up on Centrum Silver anytime soon. "About the only thing we can say with a high degree of confidence is that there is no large risk or benefit from taking a multivitamin. There may be a small benefit, no benefit, or even a small harm." That's a good summary. So should men take a multivitamin? Well, it's your money, but if you don't have a vitamin deficiency, it's probably not worth it. Should women? The evidence still says no. *Thanks to Stanford biostatistician Steven Goodman (formerly of Johns Hopkins University) for crunching some numbers to produce Bayes factors. Of course, when even the NY Times gets in on the hyping, we know we won’t soon hear the end of this. The quacks will have a heyday--and suddenly embrace the evil allopathic studies.